Tech support scams are a particular type of scam that uses malware (software that is intended to damage or disable computers and computer systems) to trick unsuspecting victims. 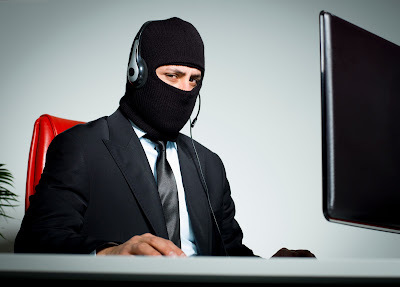 You are lured into contacting a fake support team, be it by telephone, message service or email. You are contacted by fake support staff who claim they have detected a problem with your computer or laptop. They might claim you have any number of problems from licensing issues, system errors or by displaying blank screens on your computer. The scam comes when they try to get you to pay them in order to fix the problems they claim you have with your computer. In more invasive scams, they may ask you to give them remote access to your computer in order to fix it, at which point your secure information is vulnerable. The most common scams are those hosted on websites. You might be browsing information and suddenly see a pop-up message or your screen goes blank etc and you believe you have a computer virus. The trick comes when you see a message from Windows or Apple telling you there was a system error and to call a particular number. The number may be one that charges you a high fee for the call, or the tech support imposter will try to gain access to your computer or charge a fee to correct the problem. ● Turn off all remote management tools you may have, or better still, uninstall them. ● Make sure you have all of your updates, especially security updates. ● Change all of your passwords. ● Check with your credit card provider and report the scam. ● Restore your computer to its previous state. Have you been victim of a tech support scam? Share your experiences in the comments box. Timeshare Upgrades - Solution or scam?